This article was originally posted to BookBaby. Even though they’ve been around for almost 10 years, a lot of folks are still trying to understand the world of eBooks. Our BookBaby publishing specialists field dozens of questions about eBooks every day, and any question, no matter how basic, deserves a good answer. Even though they’ve been around for almost 10 years, a lot of folks are still trying to understand the world of eBooks. Choosing an e-book service can be hard, and our BookBaby publishing specialists field dozens of questions about eBooks every day. Electronic books – or eBooks – are digital versions of a manuscript. An eBook can consist of text, images, or both. An eBook requires special dedicated files to be created from digital files like Word or PDF. (See below for more information about these eBook files.) eBooks have been around since 2007, when Amazon introduced the Kindle, followed by the Barnes & Noble Nook and the iPad from Apple. 2. How do people buy and read eBooks? eBooks are downloaded directly to all kinds reading devices. They can be read on almost any modern computing device including dedicated eReaders like the Kindle or Nook. These devices are mainly used to buy and read eBooks. Many people read eBooks on smartphones – all iPhone and Android devices have eBook reading apps available as downloads. Others use multipurpose devices – tablets like the iPad and Surface – to consume eBooks. Readers can buy eBooks from thousands of online retailers around the globe, including Amazon. The Kindle BookStore is the world’s largest online eBook store, with hundreds of new titles added each day. Other popular eBook retailers include Apple’s iBookstore and Barnes & Noble. In addition, authors can sell eBooks directly to readers from their own websites. 3. How do I turn my book into an eBook? It starts with having your content on one of the popular digital file formats, such as Word or a PDF. These source documents will then be converted into two special eBook files. One file type, .mobi, is used in the Amazon Kindle device. The other file, called an ePub, is used in all other eBook reading devices, apps, and programs. Some authors can convert their files themselves using third-party software applications. But for most writers, eBook conversion is a complicated process and can be difficult to do correctly. The coding can get very intricate and complex. That’s why many authors turn to a company like BookBaby for professional eBook file conversion. At BookBaby, we inspect your Word or PDF document to make sure it conforms to eBook file specifications and then convert it into both .mobi and ePub files for all eReader types. BookBaby then sends a format proof of the eBook files that you can load and view on your own device. At this stage you can still make changes or corrections to your book. 4. What kind of books can be eBooks? Just about any kind of book can be made into an eBook. Most text-based books work very well as eBooks because they have a simple layout. This is called a “dynamic” layout, because the book’s appearance will change depending on the screen size of the eReader. (More information here and below.) Books that have a lot of pictures or graphics often need a different conversion process, called “fixed layout”. We recommend this kind of conversion for children’s books, cook books, photography, and art books. (Note: BookBaby performs fixed layout conversions for books destined to be sold in Apple’s iBookstore only. For more information about what kind of conversion you’ll need, go to the BookBaby website. 5. 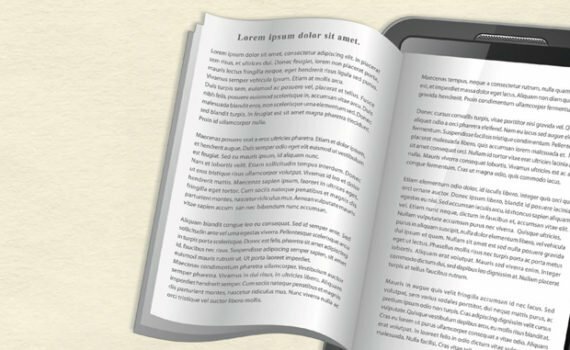 Will my eBook read and look just like my printed book? All of the content of your printed book will be in your eBook, but it won’t look exactly the same. Why? Think of it this way: A printed book stays in one format, for instance a 6×9 trade book. Each page stays exactly the same – forever! But an eBook page can and will change based on several factors including the screen size of the reading device being used and the reader’s personal preferences. For more information about why eBooks don’t look like printed books, I invite you to read “Why Doesn’t My eBook Look Like My Printed Book?” on the BookBaby Blog. 6. How long will it take to create an eBook? When you send your Word or PDF book file to BookBaby, we’ll inspect all of the contents to make sure everything is right. Next we convert your file into both a .mobi and ePub, and send you a digital proof. Your first proof will arrive in about 6-8 business days. Then the ball is in your court! You’ll need to review your proof and contact BookBaby with any changes. This can take five minutes… five days… or five weeks. Most eBook conversions take two rounds of proofs. How long does the “average” conversion take? You can generally expect this part of the eBook creation process to last between 12-15 business days. Please note: If you’re doing both a printed book and eBook at the same time, BookBaby will work on your printed book file first and then your eBook. That way we make sure both versions of your book are exactly the same. 7. What do I need to do to get started on my eBook? First, you should have your book professionally edited. That goes for any kind of book, printed book or eBook. There’s just no substitute for another set of eyes combing your manuscript to eliminate typos and grammar issues. When you send us your edited book file in Word or PDF format, I recommend you keep everything very simple. Because there are so many kinds of eBook readers and devices, a simple book file is best for the sake of consistency. Avoid any kind of special fonts or type treatments. Remember It’s the content of your book that’s most important – not a fancy typeface. For more instructions how to prepare your file, download BookBaby’s free guide, Preparing Your Document For eBook Conversion.